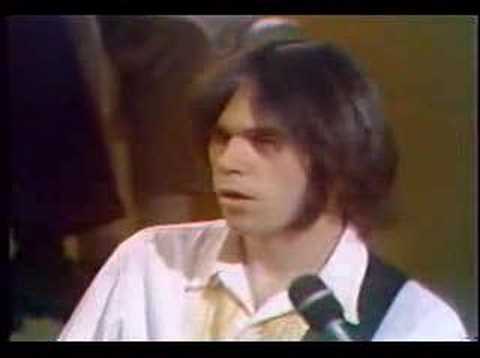 “Down By The River” carves out real estate in the pantheon of Rock music not by way of its dark, provocative lyrics but through its masterful, boundary-busting guitar work – an expansive, staccato-studded jam with tremendous emotional range, from towering distorted peaks to growling, melancholy gutter lows. It’s a seminal song in that it carries the DNA of “grunge,” which nearly two decades later would give rise to a new sound in Seattle embodied in iconic bands like Nirvana and Soundgarden. Despite the song’s controversial lyrics and the wildly varying interpretations of their meaning, “Down By The River” is a churning, snarling jam more than anything else. It’s a grunged-up, magical mystery tour driven by the strung-out, dueling electric guitars of Neil Young and the monstrously talented but tragically flawed Crazy Horse-man Danny Whitten. From the first solitary soul-stirring note, the interaction between Neil's lead and Danny's rhythm is as beautiful as it is riveting – the back and forth, the in and out, the pushing and pulling. And the whole duel is carried along by the upfront mix of Billy Talbot’s bass line, steadily steering the cruising ship. There’s a hypnotic, out-of-body groove that holds the song together from the slow-boil start to the long final fade. The shredding starts early, hovering over a relatively barren lyric landscape. The studio version of “Down By The River” is more than 9 minutes long, and instrumental forays into the unknown account for nearly 5-½ minutes of that – a ballsy departure from the 2- to 4-minute vocal-centered songs that were standard fare at the time. Released just as the limitations of psychedelics were begrudgingly being realized and heroin was taking the Rock community by storm, “Down By The River” reflects a darker mood and a stripped down musical alchemy and instrumental improvisation that was emerging two years after the release of The Beatles’ landmark Sgt. Pepper's. While the Grateful Dead, Allman Brothers and other “jam band” giants, were laying down huge, trippy improvisational passages during live performances, Neil was one of the few who dared bring that kind of instrumental feeding frenzy into the studio. I was on a roll. The music just flowed naturally that afternoon. … This was pretty unique, to write three songs in one sitting, and I am pretty sure that my semi-delirious state had a lot to do with that. Pretty unique, indeed. He pounded out three of his greatest songs in one afternoon. Most guys would be thrilled to produce that trio over the span of an entire career. In his book, Neil says he’s having trouble writing new material. He recently stopped smoking pot and drinking (ouch! ), and he’s dealing with a bad case of writer’s block. Neil, go back to Topanga Canyon, and get sick. As for the lyrical meaning of “Down By The River,” one common interpretation is it’s a metaphor for drug addiction, say heroin, and the struggle to break free. The woman (not surprisingly) is the drug, the addiction. She has enormous power, enough to take her man (or victim) high “over the rainbow.” And she’s desperately missed when she’s not around: “It’s so hard for me staying here all alone, when you could be taking me for a ride.” But as so often is the case, the addiction becomes too much to bear: “This much madness is too much sorrow. It's impossible to make it today.” He realizes he has no choice but to end the addiction by shooting “her” (down by the river). It bears noting that soon after the release of “Down By The River,” Neil would witness the devastation of heroin on a very personal, painful level. He poured that anguish and suffering into his music. The 1972 classic “Needle And The Damage Done” hauntingly bemoans Danny Whitten’s lost battle with the drug: “I watched the needle take another man.” He had occasion to rail again in 1973 when he recorded the mournful song “Tonight’s The Night,” a sorrowful tribute to roadie Bruce Berry who died of a heroin overdose just months after Whitten. 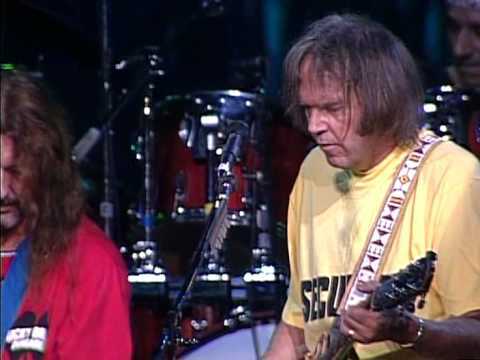 Check out our huge selection of Neil Young merch – albums, shirts, posters, books and more. Just after releasing Everybody Knows This Is Nowhere with his new backup band, Crazy Horse, in May 1969, Neil joined Crosby, Stills & Nash as a full partner. He would stay busy the next year splitting time between the two acts. The album version of “Down By The River” is 9:13 while the single is a much-trimmed 3:35. The 1998 Farm Aid extravaganza produced one of the greatest-ever live versions of “Down By The River” when Neil jumped on stage with Trey Anastasio and Phish for a 20-minute shred-fest. Dave Matthews & Tim Reynolds do a fiery acoustic cover on their 2007 gem, Live at Radio City. Buddy Miles – drummer for Jimi Hendrix’s Band of Gypsies – lays down a soulful, silky-smooth “Down By The River” cover on his 1970 solo album Them Changes. Like A HurricaneThe flooding, the cold, the broken house, the water-logged memories strewn about – deep devastation wrought by the storm of love.